On Thursday 17th and 18th November Codestone will be racing down to Olympia London for The Business Show 2016. Over the two days there we’ll be showcasing our expert IT solutions, answering your questions and tearing up some tracks – well miniature ones at any rate – but more on that later. The Business Show is the ideal venue for decision-makers looking to take their businesses up a gear. As the UK’s biggest exhibition for anyone running or looking to start their own business, it provides thought leadership and the chance to make valuable connections. With a cross-section of industries represented, you’ll find 250 seminars, 350 exhibitors and 12 masterclasses spanning the two-day event. You really will find everything you need to move your business forward. Big name speakers including Dragon’s Den star Touker Suleyman and Crystal Palace Chairman Steve Parish will be taking to the keynote stage. What’s more you’ll be able to take part in a comprehensive programme of discussions in the seminar theatres – covering everything from cashflow to digital marketing to small business advice. Codestone’s very own Consultancy Manager and Director David Knight will be presenting an engaging seminar aimed at small to medium-sized companies. He’ll be giving a whistle-stop tour of our market-leading enterprise resource planning solution, SAP Business One. The comprehensive accounting and business management solution offers huge timesaving benefits and is affordable – being scalable to suit your business needs. The seminar will cover the importance of investing in a fluid IT operation, showing how it can make you more efficient as a company. 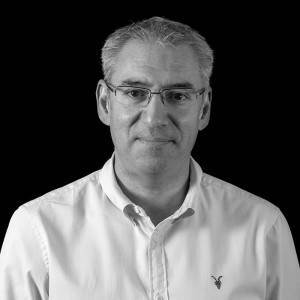 David joined Codestone in 1998 and has experience which spans more than 250 projects. He is passionate about helping our customers and, thanks in part to his work, we are proud to be an accredited SAP Gold partner and a Master VAR. David will be offering an easy to digest run-through of this excellent solution, along with providing some helpful tips to help your organisation run its IT services more efficiently. Don’t miss it. More info can be found on The Business Show website. For visitors who take a pit stop at our stand, there’s the chance to test your skills as a racing driver…on a small scale. 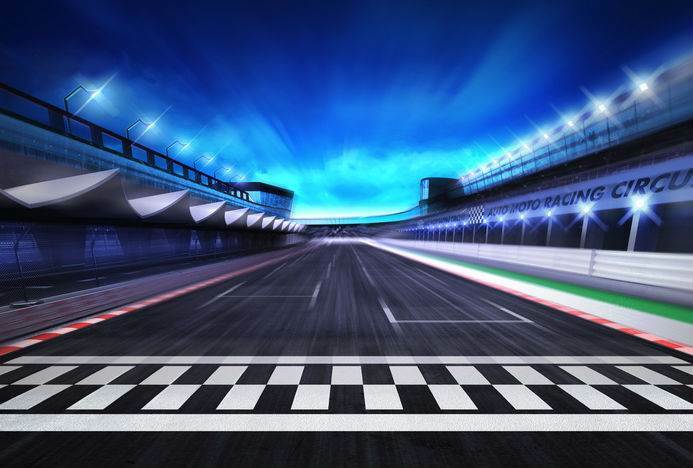 We’ll be holding our very own Grand Prix with prizes to give away every hour! Take a whirl around our mini track and you could win two tickets to the 2017 British Grand Prix. No driving licence required – just opposable thumbs! 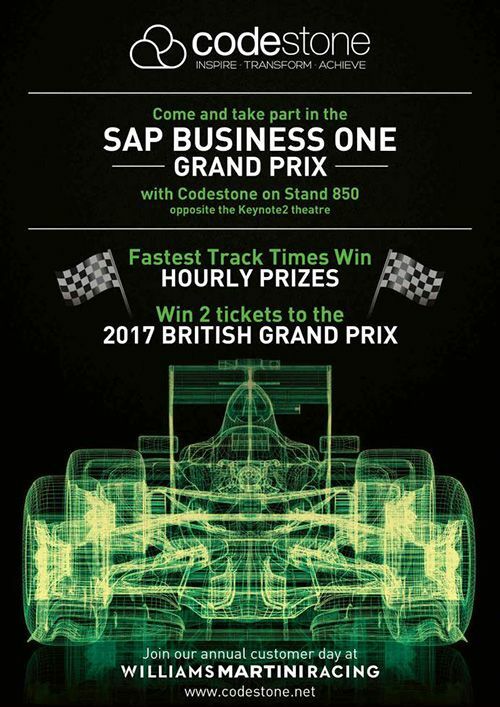 We’ll also be giving away hourly prizes for the fastest track times – so if you’re a petrol head then make sure you stop by. Visit us at stand 850, you’ll find us just opposite the Keynote 2 theatre.